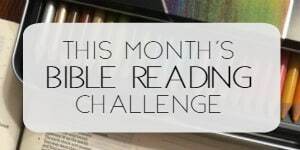 About six years ago, the first time I began to pray for my awesome husband every day was when I read Stormie Omartian’s book, The Power of a Praying Wife. 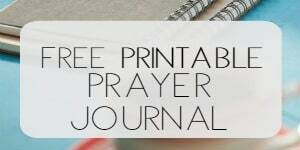 The “Power of a Praying” book series transformed my prayer life in many ways, but the most specific change I remember was prayer for my husband. At the time I began reading this book, my husband, Matt, was working night shift as he had for all of our married years up to that point. The plan was that he would no longer work night shift once we married; but many factors held him in the position for years longer than the original plan. 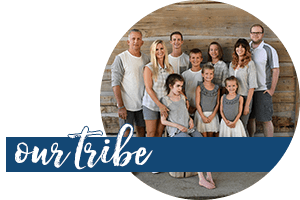 When I began praying over my husband in the manner that Stormie recommends in her book, I felt confident that God would do some incredible things in our marriage. My hope was that this praying would change things- specifically no more nightshift. Maybe secretly I even desired for God to change Matt in some ways. Honestly, while we are madly in love with each other and completely and totally crazy about one another, sometimes, we have our differences. I’m sure that comes as a total shock to you, because I’m guessing most of you agree with your husband on, ahem, everything. 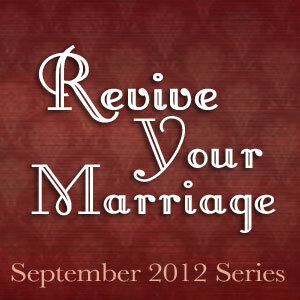 But the funny thing about praying for my husband, he didn’t change. And really, he didn’t need to. I’m the one who changed. Praying for Matt changed my attitude towards him, and more specifically, towards night shift work. When I began consistently praying for us to be able to lose the night shift, then God began to show me how to pray. I prayed for strength for my husband to make it through the night. Every night when he left, I prayed for his sleep-deprived body to be renewed and energized. I prayed for him during the morning drive home from work, that God would protect him and keep him alert. I prayed that God would give him clarity for the next step to take in his career, whatever that would be. I’m thrilled to be able to tell you today that Matt no longer works night shift! Woohoo! But it did take ten years for that prayer to be answered. God had an adventure of lessons to take us through before He answered the specific prayer. When I think about how praying for my husband yielded results in the past, then I feel renewed to pray for him consistently and for the future of our marriage. Now would be a great time to reflect on answered prayers you’ve experienced in your marriage and praise the Lord for all He has accomplished and is going to accomplish! 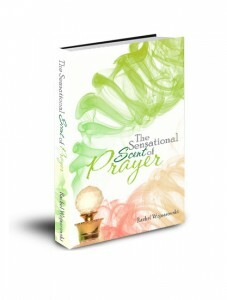 Speaking of prayer, on Monday and Tuesday, Sept. 3-4, 2012, Amazon will have my ebook, The Sensational Scent of Prayer FOR FREE! Isn’t that exciting? For a 48 hour period, you can download the book on your Kindle or for Kindle for PC, Ipad, Ipod, or Iphone FOR FREE! Just click here!! PS: Author and speaker, Suzanne Woods Fisher, has given me the honor of her author spotlight today! Please, please, pretty please, with a cherry on top, go by and see her; she is just lovely! Click here. Beautiful! I love how you write from the heart and inspire us. Thanks! Bless you Susan! The only way to write, huh? 🙂 God is gracious. Thanks for stopping by! Great post, Rachel! Many of us wives need to hear your testimony. I think I need to revive Stormie’s books in my life–and pray “for” my husband instead of complain “about” him. You bless me, friend. I just love that series. And of course my new favorite book on prayer is The Circle Maker. Still trying to decide how to blog about it. So.very.good. I love the post! Thanks for the reminder. I get caught up in the everyday life and need the reminder that God is in charge, I just need to thank Him and walk in that! Thank you for the reminder. It is so easy to get caught up in the chaos of life that we somehow forget the most crucial part we need to quiet the chaos that the enemy loves us to be distracted by. I love that series of books too, and read them early on in our marriage. Like you, I have a blended family. Our family is 19 years old now. We have most of the children on their own now but have our twin teenage daughters at home. It has been an adventure to say the least, but the adventure continues as the seasons change. Sometimes, I lose sight of the importance of praying for my husband, since I am confident he will hang in there with me through it all. Thank you for this reminder, and I will make it a priority to pray for him as we continue our journey together as husband and wife to this brood of 9 and now 10 grandchildren. God bless you. Thank you so much, Donna, for stopping by and for the sweet words. It is easy to forget…maybe God keeps me in chaos so I’ll CRAVE quiet time with Him. 🙂 Blessings to you today!